Approximate power levels: 530hp+ on 408ci, 510hp+ on 393ci, 420hp+ on 351ci. 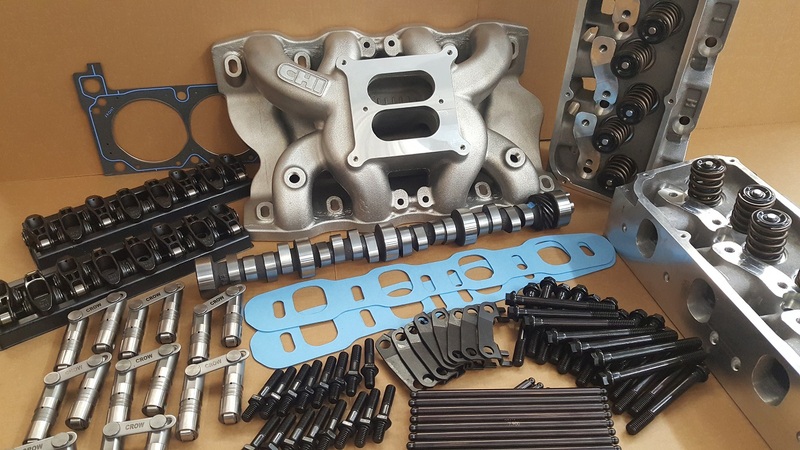 Camshaft: Hydraulic roller 232 / 236 @ .050″ .597″ & .598″ valve lift, ground on 108 lobe centres, SADI billet. Lifters: Hydraulic roller “tie bar” retro fit. Rockers: Comp Cams Ultra Pro Magnum stud mount roller rockers 1.73:1 ratio. Pushrods: .138″ wall thickness 3/8″ diameter 210 radius Crow Cams chromoly racing pushrods, two lengths inlet 8.00″ exhaust 7.90″. Guide Plates: Manley 3/8″ hardened steel. Head Bolts: ARP single hex head bolts. Head Gaskets: Felpro 1013 performance head gaskets. 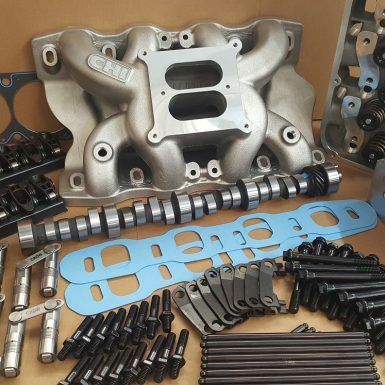 Manifold Gaskets: CHI 3V premium fibre intake set.